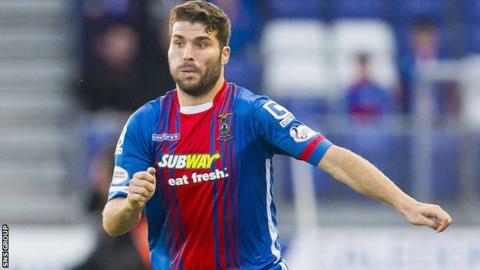 Striker Dani Lopez has left Inverness Caledonian Thistle after his contract was cancelled by mutual consent. The Spaniard, 30, scored one goal in nine appearances for the Highlanders after joining in the summer - that came in a defeat against Celtic. In November, Lopez was banned for two matches by the Scottish FA and fined by the club for a spitting incident during an under-20s match. He was on the books at Stevenage for two seasons before leaving in 2014.